The triple digits are starting to slowly show it’s ugly face around these parts. It’s been hot hot hot!!!!! The perfect time to break out those popsicle molds and start whipping up batches of yummy, homemade popsicles!!! I love making my own pops. You can customize the ingredients, sneak in all kinda vegetable juices for the kiddos and not to mention, they’re so freakin’ easy, fun and cheap. Fresh fruit is EVERYWHERE this time of year so go to the Farmers Market and have at it. I got a ton of kiwi today and since it’s scorching outside Kiwi popsicles are a must. 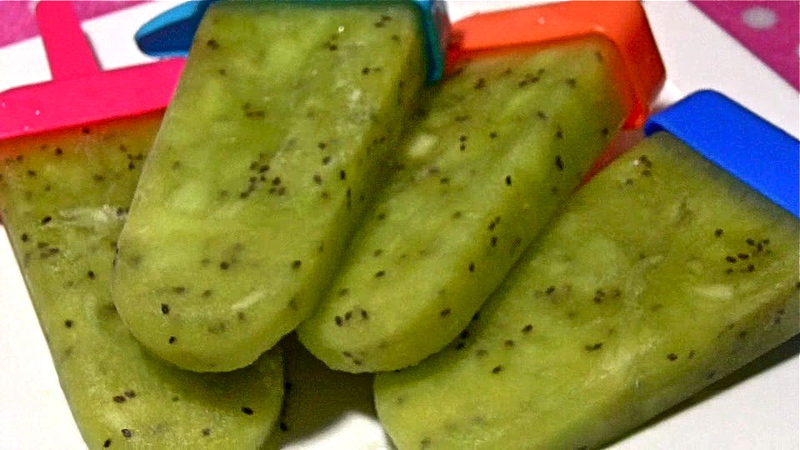 I make kiwi popsicles a lot in the summer months. Something about the sweet & tart combination just totally refreshes me! And that gorgeous green color… mother nature you have truly outdone yourself! I just love how they still resemble kiwi! Kiwi is such a pretty fruit and loaded with good stuff! 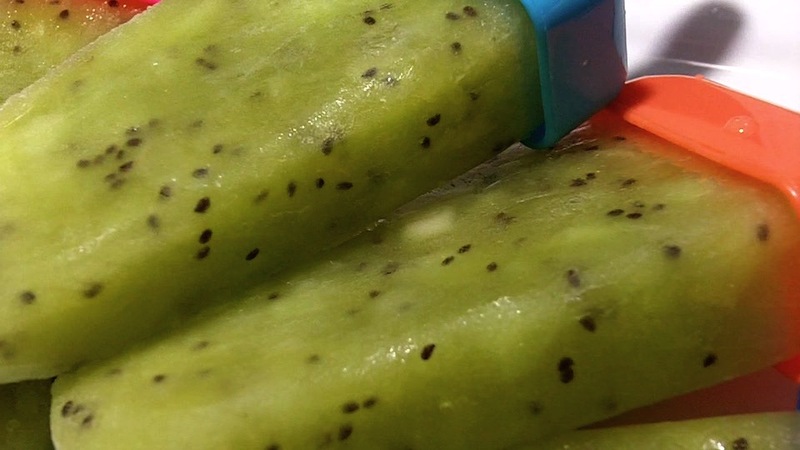 Watch me make this Refreshing Kiwi Popsicle Recipe from start to finish! You can add other light colored juices as well like white grape juice or white peach. 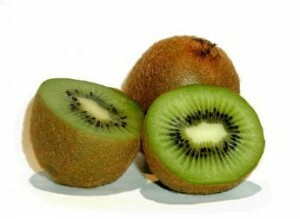 Try to choose a clear or light color to keep the natural kiwi color. Aren’t these just the tastiest! I don’t even feel guilty eating 2 (…or three). I linked your video on my blog, I hope you don’t mind! I sell them to the children in my neighborhood. And they love them! They request them all the time. Thanks for the recipe. Pingback: Divas Can Cook – Kiwi Popsicles with a TWIST of Simply Lemonade with Blueberry! Popsicles! Popsicles! First of all, I was already on a mission to make homeade popsicles with my daughter this summer, and stumbled across yours. My daughter loves kiwi and what better mix. The hubby had to admit that they were good too as he has been devouring too. Thanks!! I just made this not too long ago. Its not frozen yet, of course, but the mixture tastes like HEAVEN! I can’t wait until it freezes so I can enjoy them!!!! Thanks for the recipe — my girls both enjoyed these. I think next time we will use less pineapple juice, as ours made 6 popsicles (in the Zoku maker). We had been looking for kiwisicles after they were mentioned in an episode of Curious George and we realized we had never tried them! Love this post and your comment about 'you know some folks who could stand to have their DNA repaired. ROFL!! This is a great idea and looks so delicious, too. I've always wanted to make homemade popsicles for my child. Mmm, can't wait.